Following amendments to the constitution in 2012, the term of office was changed from one year as Chair to two years as President. In alternate years, the Honorary Secretary issues a call in July to SSM members for nominations for President-elect – in time for the elected individual to be named at the AGM preceding their term of office. The elected officer will be President-elect for one year from 1st January of the year following their election, President from 1st January of the subsequent two years, and Immediate past President from 1st January until 31st December of their fourth year. The term of office is for up to five years. In the office-holder’s final year, or earlier if the officer indicates s/he will be standing down, the Honorary Secretary issues a call for nominations to all members. Ideally this is also in July, to enable election results to be announced at the AGM before the change of officer. The term of office is for three years. Each July, the Honorary Secretary issues a call for nominations to all members. The Committee has the power to co-opt members to join the committee for specific roles that can’t be undertaken by ordinary committee members. These include co-ordinating the Local Organising Committee for the ASM, acting as liaison of a related professional society, and other roles as required at different times. The length of service of a co-opted member should relate to their role in the society, but not usually be any longer than that of an ordinary member (3 years). If appropriate, co-opted members could serve more than one term of office. Overall, the committee should always have more elected than co-opted members. At least one member of the section sub-committee (usually the chair) sits on the main SSM Committee. Only Section members are eligible to vote for members of Section sub-committees. The term of office is for three years. Each year, each Section subcommittee issues a call for nominations to all members of that section. Each subcommittee decides which of them will chair the subcommittee and which of them will represent the section on the main SSM Committee While there are few enough sections for this not to impact adversely on the Committee, each of these tasks should usually be undertaken for at least two years, to ensure continuity, so there are two representatives from each section on the main SSM Committee, with staggered terms. The ECR section may include non-SSM members on their mailing list for certain activities, if they feel this will introduce a larger range of individuals to the Society but only individuals who are members of the Society in good standing can be deemed Section members; other sections are expected to include only SSM members on their mailing list. If the call for nominations is circulated to the entire ECR mailing list, those wishing to stand would need to join the SSM if not already members, as nominations for an SSM Section committee can be accepted only from Society members. Unlike other nominations, the call for new Section subcommittee members can be made after the ASM, to attract more interest. Other sections can also make a case to the main Committee to have this timing. 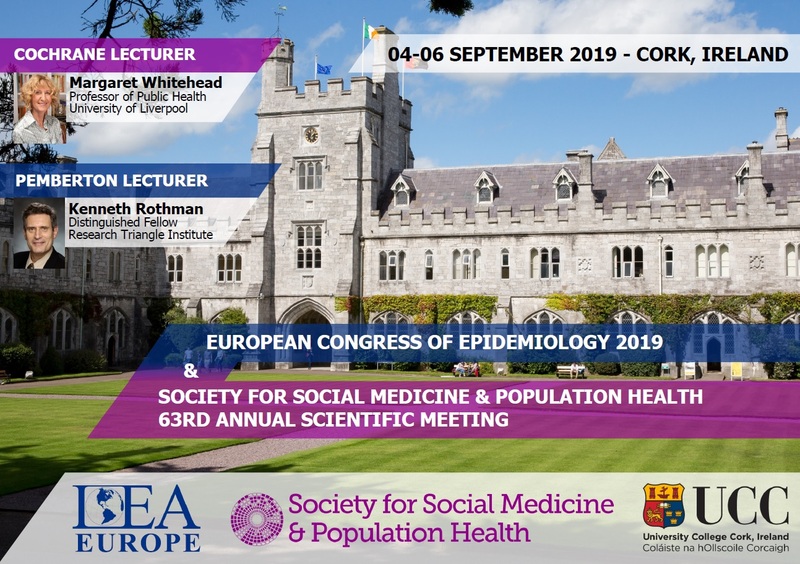 The European Public Health Association (EUPHA) – membership of the Governing Board rotates between the SSM and the Faculty of Public Health but representatives of each body receive full documentation from EUPHA. Therefore, the Committee also discussed in 2011 inviting a representative from the Faculty of Public Health (FPH) to join the SSM Committee, and would propose reciprocal representation but no decision or action has yet been taken (December 2012). The SSM Committee identifies such individuals; they can use the newsletter to call for volunteers for and/or election to these roles. All committee members, including those on SSM Section subcommittees, must be SSM members in good standing at the time of their nomination and throughout their tenure. Nominations must be signed by both a proposer and a seconder, each of whom must be SSM members in good standing. Electronic signatures are acceptable but not typed forms without signatures. Interested potential nominees who do not know any SSM members can contact the Honorary Secretary, who will try to help, for example by contacting SSM members local to that individual. If more nominations are received than there are vacancies (i.e. more than one for Officer posts or more than two for Ordinary committee membership), the Honorary Secretary will arrange an electronic ballot. Each candidate is asked to provide a 50 word statement about what they would contribute to the Society, which is sent electronically to all members together with the names of each candidate, instructions for voting (one vote is allowed per vacancy, so two votes for committee membership), the deadline for voting, and a link to the ballot. The Honorary Secretary usually notifies the membership of the results through the AGM report. If too few nominations are received, the Honorary Secretary can re-issue the call for nominations and conduct the ballot subsequently, using the same time intervals as above (see Table 1 above). In that case, the membership is notified of the results through the monthly email or quarterly newsletter.